By 2021, the live streaming industry could reach $70.05 billion. The video industry is exploding and thousands of businesses are getting involved or mobilizing to do so. This blog will share professional tips for video monetization. Overall, 51.9% of marketing professionals worldwide name video as the type of content with the best ROI. (ROI stands for Return On Investment.) In fact, marketers who use streaming video are seeing 49% faster growth in revenue. In this article, we’ll take a detailed look at how to successfully monetize video content. Also, we’ll review steps to ensure viewer engagement compared to free content. 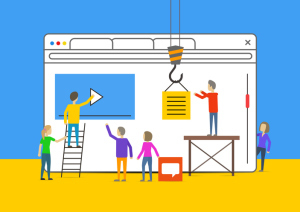 Now, let’s jump right in to the why and how video monetization. Despite the proliferation of content on the internet, premium paid content continues to grow. In fact, the internet today represents one of the biggest boons that content creators have ever had. For the first time, distribution has been democratized. In other words, anyone who creates great content can stream it to an audience of millions. Now, that’s not to say that it’s easy to to do video monetization. Competition is fierce. A recent report from Streaming Media finds that video monetization is one of the biggest challenges for content publishers in 2018. However, there are a number of excellent methods to help you monetize effectively. Let’s review those below. Video is a massive and growing market. Traditional broadcasting companies, like TV and cable networks, were initially slow to enter the online video publishing realm. However, they’re now all-in with the video usage trends. In particular, some businesses, such as HBO, see great success with OTT video monetization. Companies like HBO are also competing with Netflix, Amazon Prime Video, and iTunes. That’s on top of the millions of regular people and entrepreneurs making and uploading video content to the web. 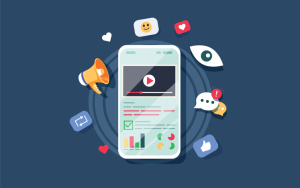 The takeaway: the key to succeeding in the video monetization market is to create compelling material that viewers want to see. Yes, it’s true. 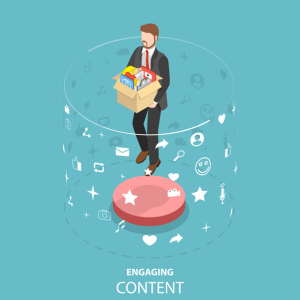 People are still willing to pay for content they find valuable and compelling. Tamara Alesi, the media capability lead at DigitasLBi, calls premium content “the prime time of digital.” Alesi explains that the term prime time can be adapted from traditional TV to account for high-value content. “It’s not necessarily a time slot during the day, just the content that’s most wanted,” she explains. Before we dive into technical specifics around video monetization, it’s important to understand some of the theory. In this segment, we’ll look briefly at the science of selling. This is a huge topic that we can’t cover in detail in a single article. However, let’s quickly review two psychological factors around pricing that may influence your video sales. First, let’s talk about premium pricing. In the business sector, it’s well recognized that people are willing to pay for a good or service based around the value they perceive. The good news? Perceived value is something that you can affect. That’s the idea behind much of modern marketing, such as the JTBD (Jobs To Be Done) model. JTBD asks you to determine for what reason your customer is really buying your product or service. Let’s look at an example. I’m writing this article on a high-quality 24″ Dell computer monitor. The “job” for which was I paid was to increase my efficiency as a writer and make photo and video editing easier. I didn’t pay for a big screen, or a certain color depth, or any other technical detail that the engineers figured out. Sure, those details figured into my purchase, but the core of my decision centered around these questions: what job will this product/service perform for me? Will it make my work more efficient and easier? Once you have figured out the “job” of your video products, you can market and price them much more effectively. One psychological factor behind pricing is the idea of anchoring. Anchoring is the implicit value that customers put on a good or service. In a Forbes article on the topic, the writers give an example comparing desktop software applications to mobile apps. Photoshop or Microsoft Office cost hundreds of dollars. Mobile apps are often $5 or less. You can use this logic to your advantage by anchoring with more expensive content. For example, you may plan to offer only one pricing option—say, a $50 annual subscription to all your video content. However, it may be more effective to first offer a $250 lifetime subscription. This may “anchor” the customer’s perception of pricing at that level and lead them to perceive the $50 annual option as a fantastic deal. This is just scraping the surface of pricing science. There’s tons of research regarding pricing and human psychology. If you want to learn more about this topic, I recommend hopping on your favorite search engine and entering “pricing psychology.” You’ll learn a lot, and this information can help guide your business decisions. There are three main methods of monetizing video: pay-per-view (sometimes called “transactional”), advertising, and subscriptions. Each method offers benefits and drawbacks. The best video monetization approach for you depends on a wide variety of factors. The rest of this article will help you understand and use these methods to successfully monetize your video content. PPV is the simplest pricing scheme. You watch, you pay. Each piece of content costs money. Pay-per-view has long been a staple of professional sports, especially boxing and MMA. These broadcasts have been some of the most lucrative events in sports history. Pay-per-view is well suited to events like sports, concerts, conventions and trade shows, conferences, and similar events. Any one-time event that can generate significant interest is a great candidate for PPV. PPV can also be excellent for monetizing entertainment content libraries. The second method we’ll examine is video monetization via ads. Ad monetization is increasingly popular as audience sizes grow. Advertising, as you might expect, is most lucrative when audiences are large. That makes it ideal for hugely popular events. In 2016, analysts estimated that mobile ad revenue represented a $16 billion revenue opportunity in the US alone. 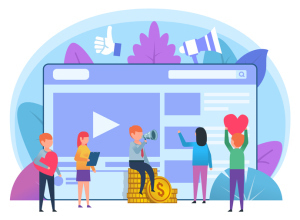 Subscription monetization, also known as SVOD, is when the customer pays a single fee for ongoing access to a library of content or a succession of live streams. Some estimates state that more than a third of professional broadcasters monetize their content via subscription models. Subscription monetization makes the most sense for ongoing, regular content released on a schedule. This includes entertainment, talk shows, news, sports leagues/teams, and so on. Watching subscription-based OTT video services is a daily habit for 60 percent of adults in the US, showing that this model is gaining more popularity all the time. Whatever method you choose for monetizing video, you’ll need the technology to make it work. Usually that means working with an Online Video Platform, or OVP. An OVP is a service for hosting and delivering both Video On-Demand (VOD) and live video streams. Check out the link above to learn more about what an OVP is and how they function. 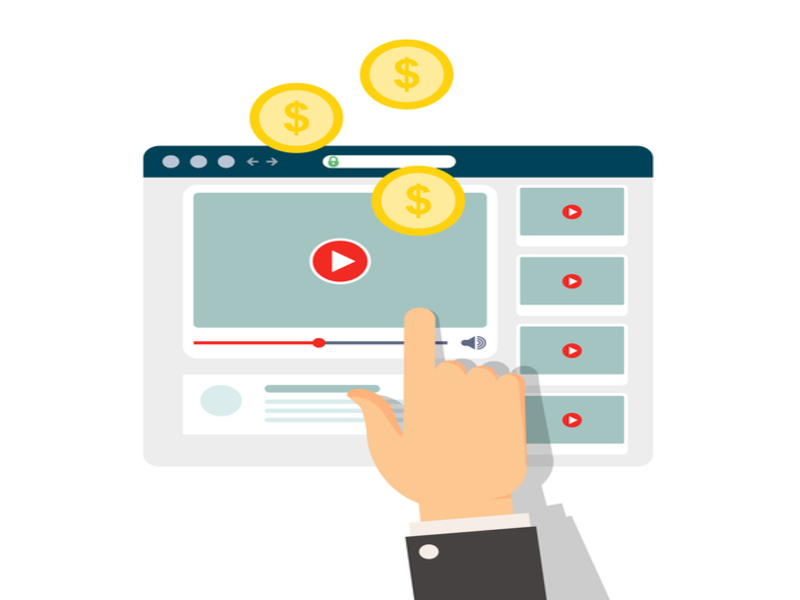 Monetizing video is a challenge—no doubt about it! 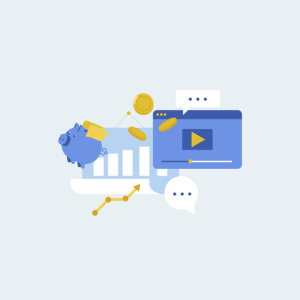 But with the right strategies around pricing and marketing, and the right tools to implement your monetization plan, you can generate significant income via online video. A quality OVP will include tools, such as an integrated paywall and video management system, to make it easy. These tools allow you to easily choose your preferred monetization options, set pricing levels, and begin generating revenue from your videos. There are many other innovative monetization options the industry is testing out. To learn more about these experimental methods to monetize video, check out this event recording from Streaming Media Europe (warning: you must register to watch the video). Hopefully, this article has helped educate your about video monetization. It’s an exciting—and potentially lucrative—time to be involved in the industry. At least, if you have the right tools. After reading this article, you may be looking for an online video platform with robust video monetization tools. Our platform, DaCast, offers a built-in video paywall and support for pay-per-view, subscriptions, and video advertising. Plus, we offer Akamai CDN delivery and a range of other features at the best prices on the market. We hope that you’ll consider giving the DaCast platform a try. If you’re interested but not ready to commit, why not take advantage of our 30-day free trial (no credit card required) to monetize your video content?